Free Amigurumi Snowman Crochet Pattern Is So Adorable And Very Easy To Make! [Free Pattern] These Sweet And Simple Coasters Are Such A Great Gift Idea! Small area rugs are a great way to bring color and design into a room while being useful and functional. Midnight Star Mandala Rug by Dorianna Rivelli is an intermediate small area crochet pattern worked in the round that will add personality and style to your space and will keep your feet cozy anytime. With just a little skill and effort you can make a beautiful crochet rug that will define your room effortlessly. 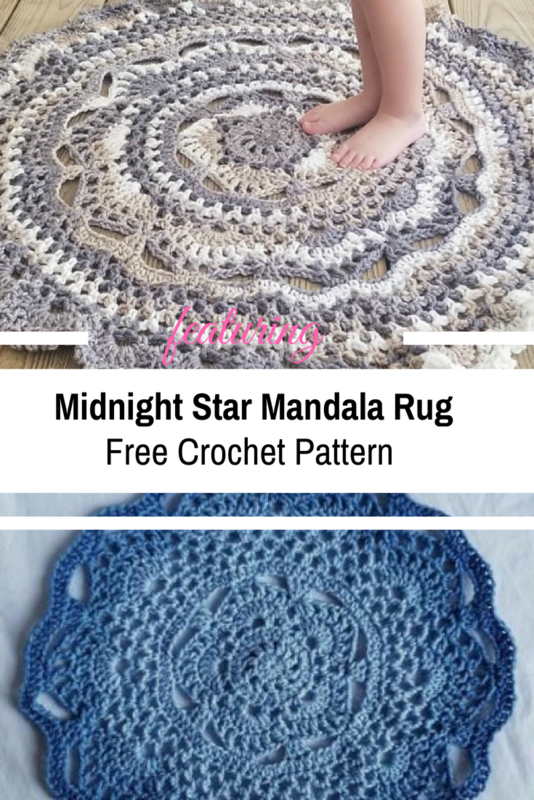 Get the Midnight Star Mandala Rug Free Crochet Pattern at: The Lavender Chair. Thanks to Dorianna Rivelli for the article inspiration and featured image. [Free Pattern] Cutest Hooded Baby Blanket Ever! 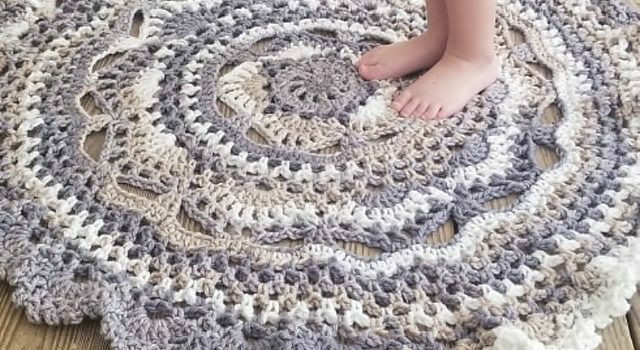 How can I get your pattern and tutorial for the giant oval crochet rug?